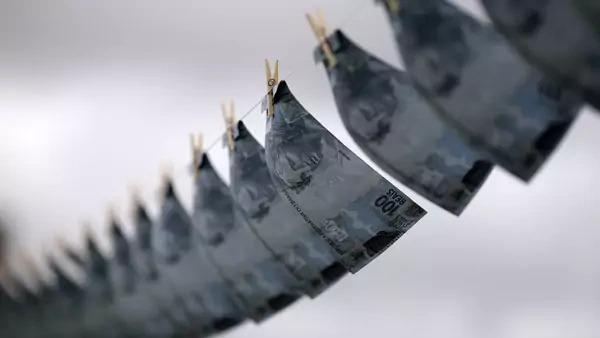 As the volume of legitimate cross-border financial transactions and investment has grown in recent decades, so too have illicit financial flows (IFFs or dirty money). IFFs derive from and sustain a variety of crimes, from drug trafficking, terrorism, and sanctions-busting to bribery, corruption, and tax evasion. These IFFs impose large, though hard to measure, costs on national and global welfare. IFFs and their predicate crimes thwart broader national and international goals by undermining rule of law, threatening financial stability, hindering economic development, and reducing international security. The tide of dirty money has drawn attention from a growing number of actors, including national governments, international organizations, civil society organizations, and private financial enterprises, which have constructed an intricate array of national and global measures and institutions to combat IFFs. As the definition of IFFs has expanded and the policy agenda has lengthened, however, deficiencies and drawbacks in these collective efforts to curb IFFs have become apparent. Accurate measurement has not kept pace with the expanding definition of IFFs. Effectiveness of existing policies and programs to counter IFFs is uncertain. Political attention fluctuates, affecting both international and interagency coordination and national implementation. These shortcomings limit the efficacy of global efforts to combat IFFs. Global Governance to Combat Illicit Financial Flows: Measurement, Evaluation, Innovation includes contributions from six authors, who map the contours of global governance in this issue area and consider how best to define and measure flows of dirty money. Improvements in the evaluation of existing policies as well as innovations that would increase the effectiveness of global governance are among the pressing issues covered in this collection. The authors outline an agenda for future action that will inform collective action to combat IFFs on the part of public, private, and nongovernmental actors. Although I have written extensively on illicit financial flows (IFFs) in the past, and I coauthored a book that remains a standard analysis of the topic from an economist’s perspective, these papers underscore how much global and national policies to combat these flows have changed over the past decade. The emphasis in Miles Kahler’s paper on fragmented governance is justified. As Kahler points out, correctly in my view, there are multiple actors (public and private) in this space with multiple objectives, including relatively recently added objectives, such as inequality (linked to tax issues) and human rights. These agenda items were present earlier, but they have received more attention in recent years, especially from nongovernmental organizations. The issue of unintended negative consequences associated with these efforts is also real and significant. The great unknown, which receives little attention in the papers, is the posture of the Donald J. Trump administration toward combating IFFs. What are U.S. priorities? Will the U.S. government continue to exercise leadership in this area? Some experts have argued that the developing world, in particular Africa, is already highly critical of U.S. leadership in this area, or at least, the degree of attention given to the agenda items of concern to them. One suspects that this disillusionment is likely to increase. The failure to build a global consensus on priorities is likely to deepen. Maya Forstater, in her paper, is properly skeptical about the various methods used to estimate money laundering and terrorism financing. There is no simple mapping between the amount of dollars involved, even if they can be measured accurately, and the social costs associated with the IFFs that one is trying to evaluate. In some areas, such as bank robbery, mapping financial flows is a reasonably good indicator of social harm: the bigger the heist, the bigger the problem. In other areas, such as hostage taking, measurement of the ransom demanded bears little relationship to the seriousness of a particular operation; it only indicates an estimate of the victim’s capacity to pay. I agree with Forstater’s six recommendations, especially her recommendation that, if one measures, one should disaggregate the IFFs. At best, measurement of the volume of money crossing borders is an indicator of social harm, more useful for some predicate (underlying) crimes and essentially meaningless in others. One must avoid, as Forstater does, an implicit assumption that all international financial flows are illicit. This view disregards the benefits of cross-border flows. A consensus definition of what is meant by illicit financial flows, then, is necessary if collective progress is to be made in addressing the predicate crimes and associated social harms. I agree with the central argument of Michael G. Findley’s paper: careful testing of strategies against illicit flows is important, and tests should be conducted at a level disaggregated by country and standard. He is also correct in pointing out that the adoption of standards, such as the Financial Action Task Force’s Forty Recommendations, is not equivalent to compliance with and enforcement of those standards. Prosecutions are a weak proxy for enforcement, but the lack of them is at least indicative of a weak compliance system. I welcome research strategies that measure performance by impact and reach conclusions via comparisons. Only in this way can strategies against the predicate crimes, which should be the primary focus of efforts to combat IFFs, be refined. There exists a false tension between keeping money out of the financial system and following that money toward its source, and the predicate crime and its perpetrators. Jodi Vittori, Erica Westenberg, and Yaya J. Fanusie advance useful proposals for policy innovations that would improve the effectiveness of global efforts to combat IFFs. Vittori’s policy recommendations with respect to closing U.S. money laundering loopholes are music to my ears, especially tightening up substantially on beneficial ownership (a tall political order) but also expanding due diligence to a broader set of actors. Erica Westenberg argues that higher standards of disclosure of beneficial ownerships in the extractive sector represent a positive step if they are properly managed. Transparency in beneficial ownership would certainly contribute to the goals of the Extractive Industries Transparency Initiative (EITI), which is designed to improve good governance in the oil, gas, and minerals sectors. Nevertheless, EITI may have had less success than was anticipated. Perhaps, the reason for that, as Westenberg suggests, is that transparency is only a starting point. Verification and associated due diligence are necessary as well. Yaya J. Fanusie’s paper usefully distinguishes between the above-ground and underground cryptocurrency systems and argues that an aggressive policy focus on the former tends to increase the use of the latter. The implicit question is whether we have this trade-off right. When it comes to international activity on the cryptocurrency threats in the above-ground system, he is right that there is no global regulatory regime in this area even though there is talk and more talk, by the Group of Twenty, for example. Fanusie is also right that an incomplete global regulatory regime will drive business to jurisdictions with weaker regimes and/or enforcement. My own view, on which I have written with Daniel Heller, is that with respect to the above-ground cryptocurrency systems, it is crucial to enforce know-your-customer (KYC) and similar rules and regulations on exchanges. We are a long way from establishing above-ground cryptocurrencies as an alternative to legal tender regimes. Therefore, controlling or monitoring the exchanges is the correct focus until we know more. IFFs move via a shadow financial system that the rich countries targeting those IFFs created. These rich countries are also a source of problems in their ambivalence toward information exchange. The Barack Obama administration was more open to international information exchange than previous administrations. I expect reversion to greater reluctance under the Donald J. Trump administration. Other countries, including major financial centers such as the United Kingdom, are moving forward. The United Kingdom has created a public registry of beneficial owners and has sought to upgrade participation in the AML/CFT by its overseas territories. The role of the International Monetary Fund (IMF)—and implicitly that of the World Bank—in combating IFFs has evolved from the days when we had to drag the IMF into participating, just as we earlier had to drag in the bank supervisors. In the latter connection, I am amused that the argument that AML/CFT activities are essential to preserving the integrity of the financial system is now widely invoked as dogma. Not so long ago, when I made the argument, my coauthor, Peter Reuter, declared that he was less than convinced. Qualified optimism seemed to be the predominant sentiment in the papers, an optimism that extended to future opportunities for international cooperation. This is probably the best posture regarding efforts to combat IFFs: pragmatic optimism. Uncertainty about the Trump administration’s attitudes, however, may impede progress over the next several years. Despite this large question mark, we can reasonably hope for further gains, even as this area becomes more crowded sometimes with well-intentioned actors’ conflicting objectives.